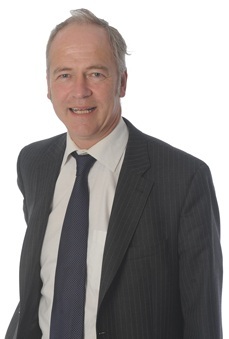 Jeremy Taylor qualified as a solicitor in October 1985 after obtaining Upper Second LLB Hons at Newcastle on Tyne University in 1983 and professional qualifications at the College of Law, Chester in 1984. Jeremy trained with JCH Bowdler and Son in Shrewsbury and, after a short spell as prosecuting solicitor, joined Wace Morgan in 1987. He became a Partner in 1990. He is dedicated to acting for those clients injured by the wrongful acts of others to obtain justice and fair compensation. Jeremy has developed a specialism in areas of Military Law, Bullying and Harassment, Clinical Negligence and head injury. Whilst a successful outcome is not possible in every case, a determined, thorough and personal approach can be guaranteed. Jeremy is a member of the Association of Personal Injury Lawyers (APIL), Forces Law, Headway (Solicitors List) and is also a Trustee of two local charities. “Jeremy Taylor is one of the best if not the best lawyers I have dealt with. Professional, sharp and compassionate”. “First class service. I can’t thank you enough for everything you have done for me”. “Mr Taylor was excellent in all matters and kept us informed throughout. Wace Morgan will certainly be the one I will use for all matters in the future”.